A decade after the Human Genome project, what use can be found for sequencing our DNA, the molecules that are the building blocks of life? Is it a lot of hype over something with little relevance? The book tests the reductionist theory that breaking down biology into its component molecules can explain the mysteries of how we are made. It also explores the concept of epigenetics, where cellular changes are controlled by factors other than DNA, such as the environment. We learn about the scientific method, from knockout mice, where copies of a particular missing gene are studied for their effects, to chromosome painting, the study of diseases caused by genes breaking off. The book’s conversational style does much to make this complex subject accessible, with short chapters preventing us from getting bogged down in excessive detail. Key figures from genetic history enhance the experience. Dr. Parrington takes us through Watson and Crick’s remarkable discovery of DNA, deoxyribonucleic acid, with insights into the men’s personalities and backgrounds. We discover the subsequent recognition of the enzyme DNA polymerase and, later, DNA’s relationship to making proteins. Although the language gets quite technical at times, it is interspersed with quotes from scientists and others, as well as helpful diagrams of molecular structures and concepts. The book explores the potential of genetic research. For instance, older mice with memory loss are joined to a younger mouse so that they share the same blood system. In mice, the memory loss can be reversed, but Dr. Parrington is cautious when it comes to applying the same principle to humans. For some of the book, prior knowledge of genetics is helpful due to the sheer number of technical terms and the complexity of the diagrams. However, the story clearly unfolds through scientific discovery and juxtaposed theories. The book explains the importance of recognizing the 3-dimensional structure of DNA, particularly when studying diseases such as thalassaemia, premature ageing disorders and cancer. It also examines the concept of “jumping genes,” which change over time to allow the organism to adapt. Returning to epigenetics, it describes how post-war rationing and Swedish famines affected not only the weight of the children but also the grandchildren of those studied. This took place due to additions to the chemical structure of both DNA and histones, proteins found attached to DNA in the nucleus. Parrington even goes as far as considering the question, “What makes us human?”, discussing our ability to evolve, our capacity for language and how this relates to our genetic make-up. 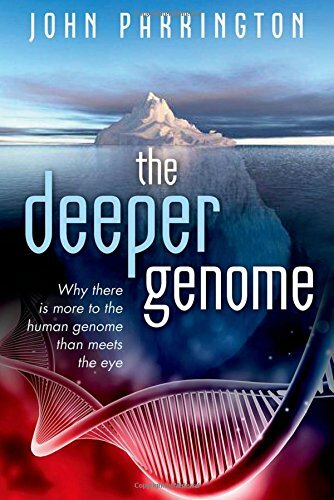 This is a compelling book that will enrich your knowledge of genetics and its potential. For those seeking to better understand the world we live in, it is well worth a read. Anne Parfitt-Rogers is a medical and science writer whose work has appeared in such publications as the British Medical Journal. She currently edits the Medical and Defence Union of Scotland FYi magazine for junior doctors and writes for HealthFriends, a health social networking website. She previously practiced medicine as a doctor for the U.K. National Health Service.